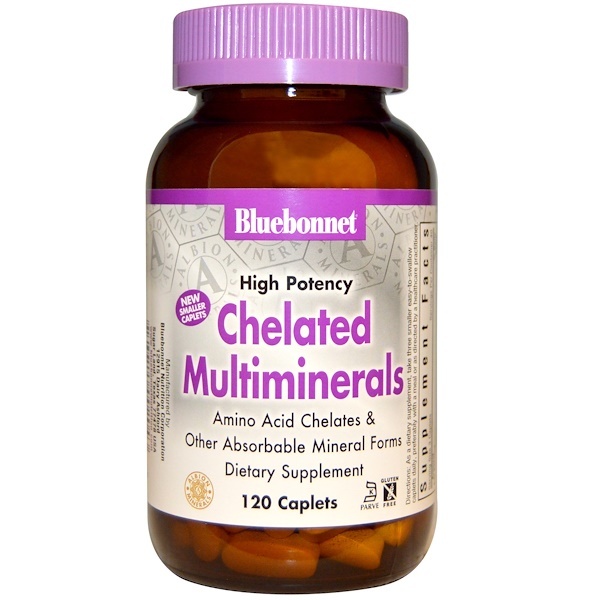 Bluebonnet’s Albion Chelated Multimineral Caplets are a high potency; fully reacted amino acid chelate multimineral supplement formulated with advanced chelating agents, including: malates, citrates and glycinates. Available in easy-to-swallow caplets for maximum assimilation and absorption. 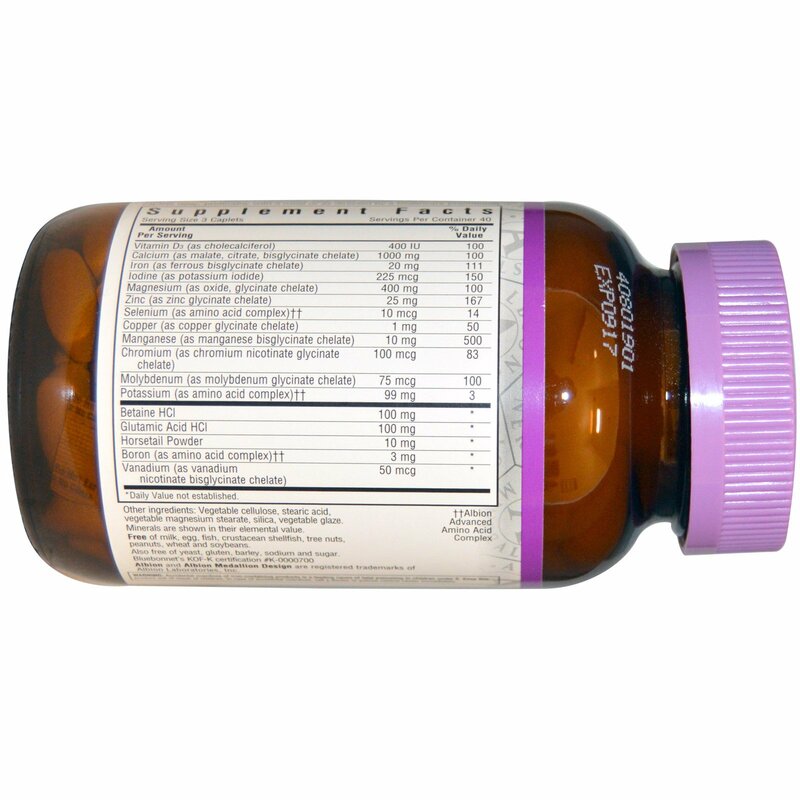 As dietary supplement, take three smaller easy-to-swallow caplets daily, preferably with a meal or as directed by a healthcare practitioner. Accidental overdose of iron-containing products is a leading cause of fatal poisoning in children under 6. Keep this product out of reach of children. In case of accidental overdose, call a doctor of poison control center immediately.